A spring training veteran's snapshot of the Toronto Blue Jays spring training experience in Dunedin, Florida. Everything you need to know - including valuable insider information - is found within. 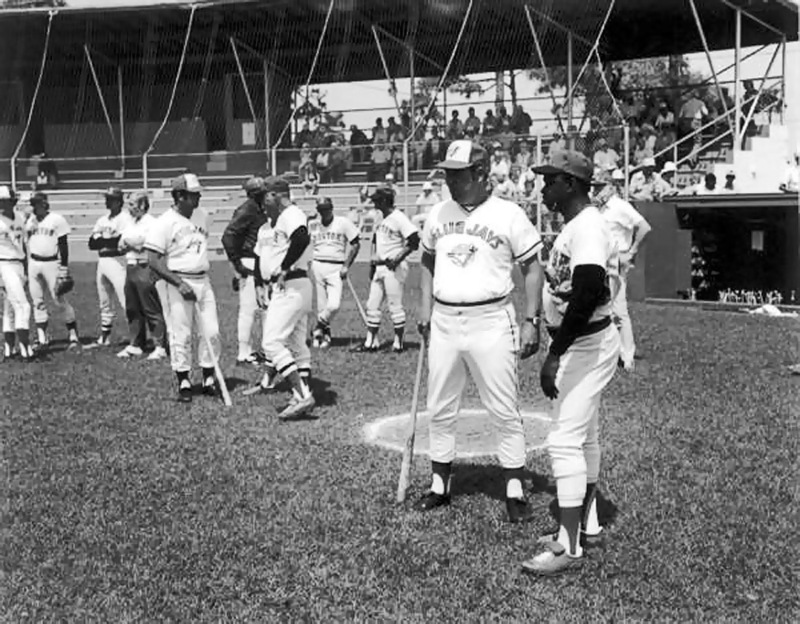 I’ve been to the spring training home of the Toronto Blue Jays – Dunedin, Florida – on six seven occasions. In the early days, I did as much research as I possibly could to get the most out of the trip. During this process I encountered plenty of bad advice and mis-information from both sports writers and fans alike. As a result, I’ve compiled this living document to give our readers an always-current snapshot of what the Dunedin area has to offer. In addition to this guide, I’ve documented three of my five previous trips to Dunedin on this site. If you’re so inclined, you can read about them here. Now on to the guide! Dunedin was settled in the mid-19th century by Scottish immigrants. In 1878, Scottish merchants J.O. Douglas and James Somerville petitioned to have the town called Dunedin, which is the Scots Gaelic name for Edinburgh. The town was incorporated in 1899. Dunedin is the former home of the Professional Golfer’s of America (PGA), and has been the one and only spring training home of the Toronto Blue Jays since 1977. Currently, Dunedin is a vibrant city of 36,545 (based on U.S. Census bureau data from 2017) within the Tampa Bay metropolitan area. The Pinellas Trail, a jogging and biking path that extends the length of the county, runs through a quaint downtown filled with shops, restaurants, and businesses. The city, which has been designated a Tree City USA, has many parks and natural areas (featuring the 90-acre Hammock Park nature preserve) with stately live oaks and towering pines. The city-owned marina and Edgewater Park are adjacent to the downtown. Two of the United States’ finest beaches, Caladesi Island State Park (named America’s best beach in 2008) and Honeymoon Island State Park, are located within Dunedin city limits. Dunedin also plays host to the Blue Jays’ class-A Minor League affiliate: the Dunedin Blue Jays of the Florida State League. Dunedin Stadium, the current name of the Blue Jays’ spring training ballpark, is situated next to the Dunedin Public Library, just a few blocks south of the downtown core on Douglas Avenue. Dunedin Stadium was built in 1990 as a replacement for the original Grant Field, the Blue Jays’ first spring training ballpark which was outfitted with a notoriously rickety wooden grandstand. The original Grant Field was built in 1930 an had a seating capacity of 3,417. In 1990, the new Dunedin Stadium could hold 6,106 fans. Today (2019) the stadium’s capacity if 5,509. The newly renovated Dunedin Stadium, scheduled to open in 2020, is projected to have a capacity of 8.500 with 6,500 fixed seats. 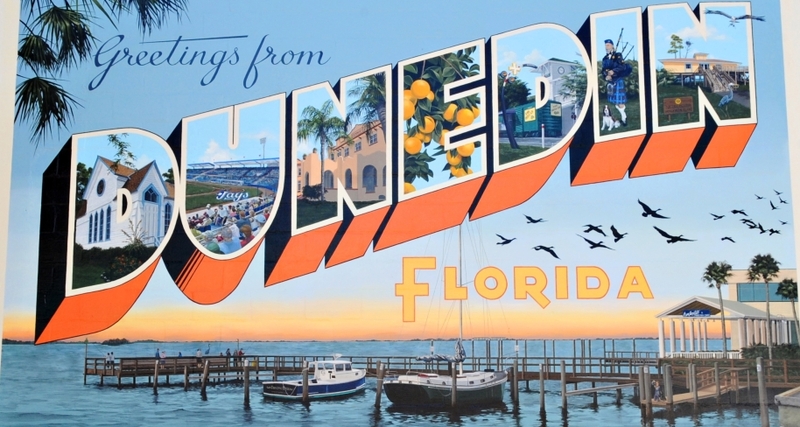 Dunedin is among the smallest spring training destinations in the state of Florida. As mentioned previously, the name Dunedin comes from the words Dùn Èideann – the Scots Gaelic term for Scotland’s capital city, Edinburgh. You can tell there is a great deal of Scottish influence here, with street names such as Douglas, Scotland, Aberdeen, Highland, and Sky Loch. Dunedin has maintained and embraced its Scottish roots; evidence of this heritage can be seen all over town. Often the sound of bagpipe music can be heard throughout the city. Once a year, Scottish clans descend upon the city for the Dunedin Highland Games. Recently retired Star colleague and long-time Jays beat reporter Al Ryan would talk about how he got emotional every time he landed in Tampa for his first day covering the Jays. For Ryan, the act of crossing the Courtney Campbell Causeway for the first time each spring would define the end of one year of life and the beginning of another. The previous year would flash before him in great detail – clearly making it more of an adventure in driving for Ryan than it usually was. The act of crossing the Courtney Campbell Causeway is indeed a rite of passage for Jays fans who routinely make the pilgrimage to spring training. The Courtney Campbell Causeway. Image courtesy of Celebrations Tampa Bay. The first piece of misinformation – and most common fake news story – is that fans shouldn’t stay in Dunedin itself because the downtown core “pretty much shuts down around 7:00pm.” This is patently false. Not only does Dunedin not shut down in the evenings (more on that later), it has a really fun and eclectic downtown that is full of character. If you can, try to stay within walking distance of the stadium. There’s nothing worse than spending an afternoon at the ballpark and not being able to have a few cold ones because you have a 40-minute drive back to St. Petersburg in front of you. There’s also many events that take place within the Dunedin core: the annual Beer Fest at Edgewater Park, the Dunedin Downtown Market, pub crawls, the Highland Games (and impromptu pipe band performances), Mutt Madness, live music, and an epic St. Patrick’s Day street party. Rosie’s Tavern: Named after the owner’s late Beagle, Rosie’s is tucked behind a complex of art galleries on Broadway. Rosie’s has consistently solid live music and is, of course, dog friendly. Rosie’s portrait can be found on the wall along with many furry frequent customers. For a more in-depth review of Rosie’s, have a look at this article in the Tampa Bay Times. The Crown & Bull: Formerly known as Kelly’s Chic-a-Boom Room, “The Crown” is located on Main Street in Dunedin. It’s a popular spot for post-game happy hour beers on their expansive, covered patio. Cheap Yeunglings are always on tap. The decor pays homage to historic landmarks in Dunedin, and still serves the incredible breakfast that Kelly’s was known for. The Crown & Bull’s logo features an image of a bulldog – it’s actually the owner’s own dog – and is representative of Dunedin’s fun-loving and dog-friendly atmosphere. The new menu is focused on local, responsibly sourced, fresh ingredients. In addition to the focus on the fresh, wholesome dining experience, Crown and Bull will now serve food until 1 AM and will have live music seven days a week. Be sure to try the bloody mary bar. Blur: For all you club-goers out there, this is the place to to get your dance-on. Yes, it’s open after 7:00pm! But it’s really only busy on Friday and Saturday nights. It’s the place to go for karaoke and very popular drag queen nights. Skip’s Bar: Skip’s is a dive, but a nice dive. The patio can get quite busy and Skip can be seen selling $1 hot dogs before home games. Dog friendly. Bauser’s: You’ll find Bauser’s on Douglas Avenue: a hop, step, trip, and fall away from the ballpark. Bauser’s is famous for offering parking that comes with a coupon for a free beer on game days. Two years ago it was a hard sell; last year it was wildly popular. The place is dark, dank, and a little bit dirty. The beers are cheap and people have a great time. It’s the bar to go to if you’re not looking for anything too snooty. Marker 8: You’ll find this waterfront tiki bar within the confines of the Beso del Sol resort on Bayshore Blvd/Alt-19. The bar is known for its free sunset rum shots and 2:00pm-6:00pm happy “hour.” It’s a 15-20 minute walk from downtown Dunedin, but definitely worth it. The bar also manages to book renowned bands that deliver exceptional live music. This year’s lineup included the ‘Black Honkeys,’ a band with a notoriously devoted following. High & Dry Grill: The High & Dry Grill is basically a tiki hut parked on the beach in the middle of the Dunedin Causeway. It’s a great spot to sip cocktails and look out onto the bay. If you’re lucky, you might even get to see some dolphins. Flanagan’s: Flanagan’s was just another ~Irish Pub~ and a dive bar just like the aforementioned Skip’s. The bar is now under new ownership and has been extensively refreshed; you can actually see what the floor looks like now that the layer of grunge has been cleaned away. There’s live music nearly every day and it’s the place to be in Dunedin for St. Patrick’s Day. In The Loop: Located in the parking loop in front of the Best Western Yacht Harbour Inn, this bar is great for sunsets if you can get a seat before hotel guests begin camping out. In The Loop is a refuge for fans of Jimmy Buffett and Bob Marley. Rusty Lyon: One of only two rooftop patios in Dunedin, the Rusty Lyon has an extended happy hour from 2pm-6pm. Hifi Rooftop Bar: Dunedin’s 2nd rooftop patio, located in the renovated Fenway Hotel with great sunset views across the intracoastal waterway to Caladesi Island. Clear Sky Draft Haus: Located at the intersection of Main St. and Skinner Blvd., Clear Sky has high-end pub fare and 37 craft beers on tap. Every spring, the choices include at least two Canadian selections. Grab a brew and a Cuban sandwich (or the Monster grilled cheese, a favourite) beforehand, and you won’t need a hot dog at the ball game. Poochie’s Woof & Wine Bar: Originally opened as a place for dog owner’s to sit and have a drink while they wait for their dog to be groomed at Poochie’s, Poochie’s Woof & Wine Bar attracts dog lovers from all over. With a fun dog-themed decor, “Dogedin” merchandise, and a pet friendly patio outfitted with leashes, Poochie’s is a great place to stop in for a drink. Cappucino’s Fine Wine and Espresso Bar: Located across the street from Rosie’s, Cappucino’s is run by a fun lady who knows her wines. Just ask her for her recommendation and you won’t be disappointed. Stirling Wine: Established in 2005, Stirling Wine features boutique wines from around the world. You can sit on their covered patio with some of the best Main Street views for unsurpassed people watching. Live music is common in the evenings, making Stirling is a very popular weekend destination. Dunedin has more craft breweries per capita than anywhere else in the world – at least it sure seems like it. Here are Dunedin’s seven best, and they’re all within close proximity of each other. Caledonia Brewing: Caledonia embraces Dunedin’s Scottish roots: Caledonia is name given to Scotland by the Romans and is a nod to the local Scottish heritage in Dunedin. The brewery uses Scotland’s National Animal, the unicorn, in their logo and decor as well as the Scottish flag, The Saltire. They also host The Dunedin Chapter of the New World Celts monthly. They have 19 rotating beers, along with guest taps and wine. Rumour has it the Jolley Trolley has direct route from the brewery to the ballpark during spring training. 7venth Sun Brewing Company: While the facility itself is much more austere than Dunedin Brewery, the beer is decidedly better and the brew-masters take some fun risks, like the yuzu lager. The patio is a line of chairs in a gravel parking lot. I’m certainly not too stuck up for it. Dunedin House of Beer: Basically a bar that has a large beer selection. Heavy on ales and IPAs, since I’ve been back they’ve gone from having zero lagers on their beer list to three. They’ve recently begun brewing their own beer, but I haven’t tried it yet. Dunedin Brewery: Located just off the Pinellas Trail in downtown Dunedin, this brewery is the oldest microbrewery in the state of Florida. Blue Jays fans seem to worship this place. The beer ranges from awful to above average, though there is a wide selection. They do have some solid live music from time to time, but you’ll have trouble getting in if the band is good. Bonus points for having a dog-friendly patio. Cueni Brewing Co.: A newcomer to Dunedin’s microbrewery scene, Cueni opened in 2016 with a focus on IPAs and Belgians. Pronounced “Q-Knee,” the brewery was brewing a peanut butter and jam sandwich beer when I was there last. For those of you who prefer lagers (like me), try the English golden ale. It combines English yeast with Czech malt and the U.S. hops to produce a refreshing, faux lager. Soggy Bottom Brewing Co.: Soggy Bottom Brewing Company was founded by three friends with a passion for craft beer who wanted to become involved with the industry. In 2017 Soggy Bottom was born, serving a variety of in-house brewed beers with wine on tap and ciders for those who are gluten intolerant. Expect heavy beers – lots of porters, stouts, and brown ales. Woodwright Brewing Co.: Before Woodwright opened, it was the showroom for the Dunedin Woodwright, a custom woodworking shop that had been in business for over 20 years. The Dunedin Woodwright still operates next door, but the showroom is now a small, two-barrel brewery and tasting room. From the worn building, to the car-free lot, to the big wooden door with stained glass, the place feels like it comes from a different era. Woodwright specializes in European styles: golden ale, hefeweizen, English pale, amber ale and so on. With seven craft breweries within walking distance of downtown (and 20 minutes of the stadium), the small city of Dunedin has been gaining a stellar reputation among craft beer aficionados. 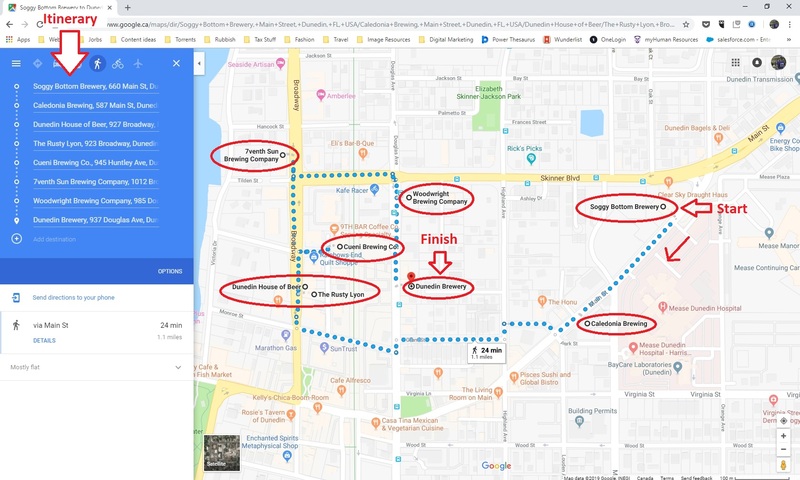 The perfect post-game pub crawl can be had in downtown Dunedin with seven microbreweries in close proximity of each other. I’ve taken the liberty of creating the ideal route. It includes the usual suspects listed above (Caledonia, 7venth Sun, Cueni, Soggy Bottom, Dunedin Brewery, Dunedin House of Beer, and Woodwright). It also includes Rusty Lyon’s rooftop patio for a little fresh air. Dunedin, which has a population of roughly 36,000, boasts seven craft breweries in a 1.5-kilometre radius in its downtown core, and they’re all within a 20-minute walk to Dunedin Stadium. “Having that many breweries within walking distance isn’t common,” said Jon Cueni, who owns Cueni Brewing Co. (which specializes in Belgian-style beer) with his wife, Bren. “We get a lot of what I call local tourists, people who live an hour away, two hours away, and they come here because they know they can walk to seven breweries in a day. Home Plate On The Trail: Serving only breakfast, Home Plate is located directly across the street from Dunedin Stadium. Home Plate fills up with both fans and baseball writers looking for breakfast before batting practice on game days. Unlimited refills! Marguerite’s Cafe: One block north of Dunedin Stadium is Marguerite’s, a cafe serving both breakfast and lunch for 12 years. Marguerite’s offers both indoor and outdoor dining options, with fresh, innovative salads always on the menu. Beware: portion sizes are huge! They will even prepare a special picnic lunch for two, by request. A great option for Weaver Park, Hammock Park, or a trip to either Caladesi or Honeymoon Island (more on these two islands further down the post). Good Vibes Juice Company: If you’re wary of all of the greasy-spoon breakfast options in Florida – and there are many – Good Vibes is the place for you. Newly-opened this year, Good Vibes Juice Company offers fresh-pressed juices, smoothies, salads, kombucha, cold-brew coffee, and acai bowls. They even have special juice formulations to cure your hangover, which will likely be the case if you frequent any of the bars from the list above. Casa Tina’s: Exceptional Mexican food & drinks. Before it was sold in Canada, I used to come here and zero-in on one of my favourite beers, Modelo Especial. Now that Modelo Especial is available at the LCBO, I recommend trying the home-made aguafrescas on offer, such as the hibiscus-flavoured Jamaica and Horchata (both are supposed hangover cures). Of course, don’t miss their margaritas. All items on the menu are amazing, especially the Cochinita Pibil. The salsa/pico de gallo that comes with home made tortilla chips is extraordinarily fresh. 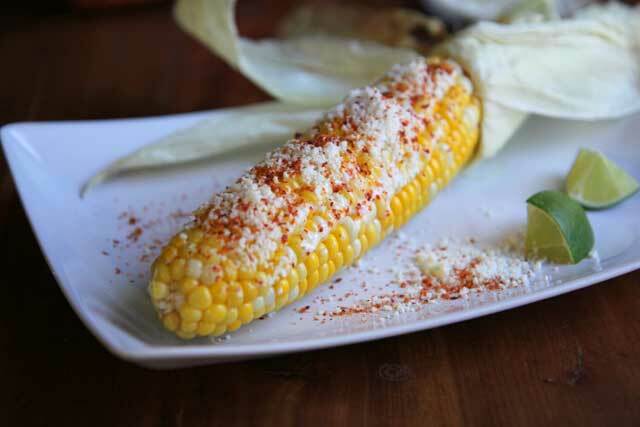 The elotes are also very strong. Patio seating is available and the staff are super friendly. Sea Sea Riders: Average to above-average seafood, depending on the day. The wrap-around patio is great on a hot summer night with a breeze blowing in off the water. Renovated this year, Sea Sea Riders features a new menu focused on locally-caught seafood. Los Amigos Dos: It doesn’t get any more authentically Mexican than this place. Located 1.5km directly west of the Florida Auto Exchange Stadium, Los Amigos Dos is a Mexican restaurant and market that serves tasty tortas, tacos, quesadillas, huevos rancheros, tamales, chilaquiles, chiles rellenos, and other Mexican favourites. Everything on the menu is also very affordable. The market sells Mexican pantry items, snacks, spices, dried chilis, and fresh fruits and vegetables. They also have soft drinks imported directly from Mexico; they are made with real sugar instead of high-fructose corn syrup. Apparently they taste much better and have acquired a cult-like following. All the big names are here: Jarritos, Mexican Coke, Fanta (both orange and strawberry flavours), Mirinda, Squirt, and others. The best part is that they carry a wide variety of hard-to-find Mexican beers, including my favourite in the whole world, Superior. I’ve looked for years for it, but only now have I been able to find a place that sells it. Mil gracias, Los Amigos Dos. El Huarache Azteca #2: This place is an actual hole in a wall beside a gas station. But don’t be scurrrred. The food is amazing! This is real, authentic Mexican – not the typical americanized excuse for Mexican food which is common in Florida. Mexican beer is served ice cold and the margaritas are delicious. Try the traditional Mexican dish machaca at breakfast. They’ll serve you a cold Pacifico with it even if it’s 10am, they don’t care. Olde Bay Cafe & Dunedin Fish Market: My favourite place to sit and have a drink while watching the sunset over the harbour. OBC, as some of the locals refer to it, has the freshest fish, a terrific beer selection and an eclectic crowd. The fish is never fried – it’s seared on a cast-iron skillet and finished in the oven. It’s so dog-friendly here that dogs get served bowls of water and snacks before their owners are able to order. 14/10 dogs would come back again. Hog Island Fish Camp: Hog Island Fish Camp is the sister restaurant to the Olde Bay Cafe and is a five minute walk north of Main Street on Broadway. This is a new addition to the list; the restaurant just opened in October of 2016. If Olde Bay Cafe is filled up, give this place a try – there’s more space, the fish is just as good, and there is a wider menu selection. The hog fish and sea bass are exceptional. The Living Room: An upscale dining option on the Main Street of Dunedin. While the environment is more refined than casual, the restaurant is still dog-friendly. For $7 they’ll bring your dog a bowl of grilled salmon with rice, or chicken and green beans. The Black Pearl: Described as “French and New American Cuisine,” The Black Pearl is ideal when you’re in the mood for suspenders, cane, monacle, top hat fancy. All the staples are here: foie gras, black truffle, escargot, Chilean sea bass. Avoid The Black Pearl’s signature ice cream unless you’re a sadist. It’s intense black licorice. Eli’s: This BBQ shack on the side of the road is open only Fridays and Saturdays, but oh what a shack it is. You can find it at 360 Skinner Road. It’s now run by Eli’s son, as Eli the original passed away a few years ago. ESPN’s Keith Law has been raving about it for years. Eli’s son serves free food all day every Martin Luther King Day. Happy’s Bayou Bites: Down the street from Eli’s, you’ll find a small wooden shack that, according to the rumour mill, serves up the best hushpuppies ever. “Happy’s hour” starts at 3pm; picnic table seating only. The HONU: I have a special place in my heart for sea turtles, and so does the HONU (Hawaiian for turtle). Owned by the same people responsible for Dunedin’s popular Charlie Tulum’s taco truck, the HONU bills itself as a “Lei’d back cafe.” The menu features Hawaiian favourites such as poke, musubi, mahi mahi, and even macacadmia nut ice cream. All meals can be made vegetarian or vegan-friendly. In addition, there’s a doggie dining menu. Their poke might be the best I’ve ever had. Dunedin Smokehouse: When I’m in Florida I try to gorge on things I can’t easily get in Canada – mostly fresh fish from the Gulf. And where I live in Canada, BBQ is available everywhere. With that said, I must admit I’ve never actually been to the Dunedin Smokehouse, but I’ve heard great things. If seafood isn’t your thing, Dunedin Smokehouse is definitely the place for you. Pulled pork, brisket, ribs, corned beef, and sausages are all on the menu here. Outdoor fire-side dining is also available. Lucky Lobster: Another new addition to Dunedin, Lucky Lobster mercifully takes the place of the old “Jolly Mon” alongside the Pinellas Trail. Sad to say, I’m allergic to crustaceans: shrimp, crab, and lobster so I can’t vouch for Lucky Lobster. But I can say it’s clean and bright with an attractive decor and patio seating. They serve Maine lobster, if that means anything to you. Carvor’s Fish House: The newest addition to Jensen Brothers Seafood, Carvor’s serves the freshest fish and seafood with daily specials served 11am-3pm. Highly recommended. Watch for Big George the stork, who likes to creep around the seafood market looking for handouts. Taco Baby: Formerly an ATM on Main Street, Taco Baby is the smallest taqueria in all of Florida. When I went, it was shortly after it opened. There were three varieties available: al pastor, chicken tinga, and jackfruit pibil for the vegetarians. The tacos weren’t great but they weren’t bad either – I’d like to give them a chance to get in a groove before I can reliably assess their tacos. Mexican Squirt is available here, so that’s a big plus. Dunedin Marina. Image courtesy of the Olde Bay Cafe. As pet-friendly destinations grow in popularity all across the United States, one located north of St. Petersburg / Clearwater on Florida’s gulf coast is emerging as top dog, year-round: The City of Dunedin, which has earned the nickname “Dogedin”— and for good reason! With dog-friendly restaurants, canine-welcoming cafes, dog parks, beaches and public murals of the furry loved ones who call Dunedin home, the City is the perfect summer destination for pets and their families. Hotels in the city are generally pet-friendly. There are designated dog beaches up and down the coast (my favourite is Fort DeSoto Dog Beach), and you will likely see dogs accompanying their owners on Dunedin’s many patios. 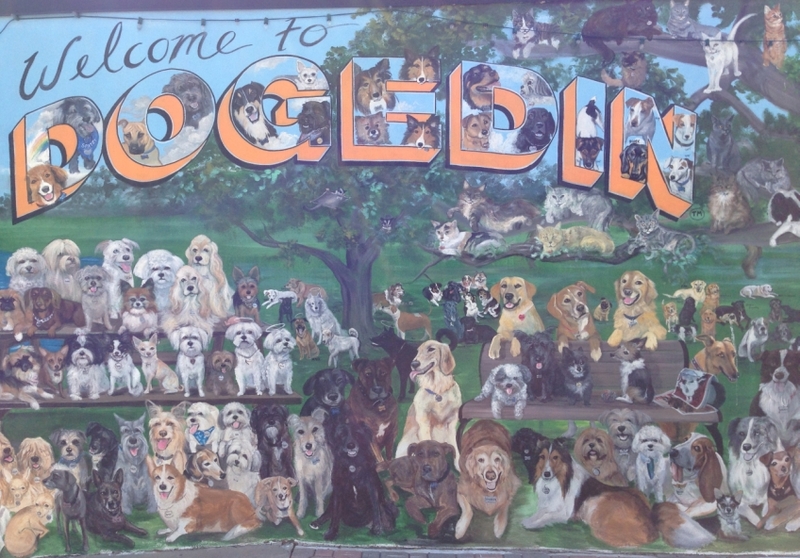 In addition, one of Dunedin’s iconic landmarks is the “Dogedin Mural” painted by local artist Anna Fields. Anna painted the mural as a fundraiser for Dunedin Doggie Rescue, a local pet rescue organization. She also runs Murals for Mutts, a non-profit organization that raises money for animal welfare. The mural is located on the side of Skip’s Bar, and is a popular congregating area among local’s before heading down to Kelly’s for cheap Yeunglings. Donations can be made at the Murals for Mutts website. So, apart from eating and drinking, what is there to do when the Blue Jays have an inevitable off day? Well, you can go to one of the many other Spring Training facilities in the area (more on that later). 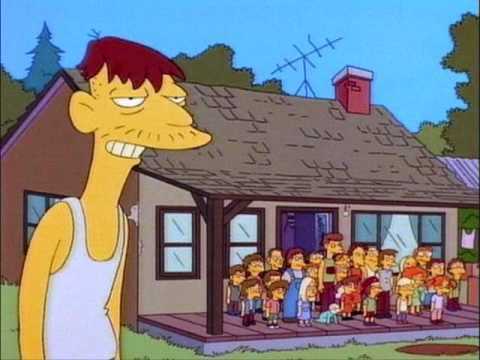 Or, you can check out the Blue Jays’ minor league complex, known as the Bobby Mattick Training Centre. The Bobby Mattick Complex (for short) is 6km away from Dunedin Stadium and sits in the middle of a residential neighbourhood. The official address is 1700 Solon Avenue and ample parking is available at the northwest corner of the complex, right beside the — you guessed it — Happy Tails dog park! The Bobby Mattick Complex is a pretty cool place to go for a number of reasons. First of all, it’s free. Secondly, there’s usually only 15-20 fans there and the atmosphere is incredibly personal and laid back. If you are a minor league/prospect nerd, this is the place for you. Not only will you find minor leaguers, you’ll also find rehabbing veterans, guest instructors and visiting baseball dignitaries. The times that I’ve gone I’ve been fortunate enough to have seen up-and-coming prospects Kyle Drabek and Brett Wallace, as well as a rehabbing Dustin McGowan. Another time I hung out with former Mariners closer Danny Farquhar and Balbino Fuenmayor. To give you an idea of the type of access that you get to the players at the Bobby Mattick complex, have a look at my Notes From Team Canada’s Workout. I was there when Team Canada’s World Baseball Classic team was working out at the complex and had as up-close of a fan experience as you can possibly imagine. *Please note: The Bobby Mattick Complex, including the spectators’ parking lot for MLB and MiLB Spring Training, will be closed to fans until construction is completed in 2020. The renovation project will transform the facility into a state of the art, year-round base of operations for the Blue Jays. Upon completion, the modernized complex will be one of the very best in baseball, providing a competitive advantage for our club and a point of pride for our fans. Construction is expected to be completed before the start of Spring Training 2020. Dunedin Stadium will continue regular Spring Training gate opening times and fan access throughout the entirety of Spring Training. Click here for more information. 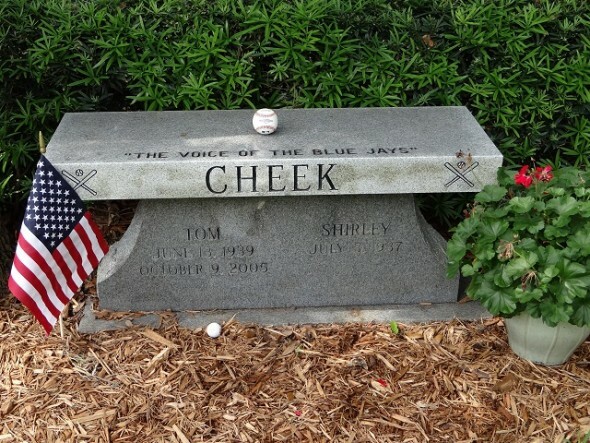 When in Dunedin for spring training, fans often like to pay their respects to the late hall-of-fame broadcaster Tom Cheek. Tom is buried at the Sylvan Abbey Cemetery in Clearwater, which is a 15 minute drive east of Dunedin. Legendary Canadian baseball writer Bob Elliott talks about his annual pilgrimage to see – and speak with – Tom at Sylvan Abbey here. Along with Dunedin’s rich Scottish History, there is also an extensive history of Dunedin oranges, orange groves, and citrus packing. Between the 1880s and 1950s, beautifully designed labels were made to go on each side of Dunedin orange crates. The identities of the mysterious muralists were soon revealed: local artists Steven Spathelf and Marsha Goins. Since then, it has become a point of pride for both Dunedin residents and merchants to have a Spathelf or Goins-painted orange on the side of their building. The two artists continue to field requests for more oranges, and those oranges have since become a symbol for the town. It can be fun to see how many oranges painted on Dunedin buildings you can find. Across from the Dunedin Channel lies Caladesi Island and Honeymoon Island. Both are National Parks and a nominal admission fee is charged to access them. Caladesi Island was rated America’s #1 beach in 2008. You’ll need to board a ferry from Honeymoon Island to get to Caladesi. The islands have white sand beaches and are very remote; on these islands you can pretend that you’ve washed up on an empty beach and actually believe it. If you’re lucky, you might pick up some sand dollars while walking along the beach. 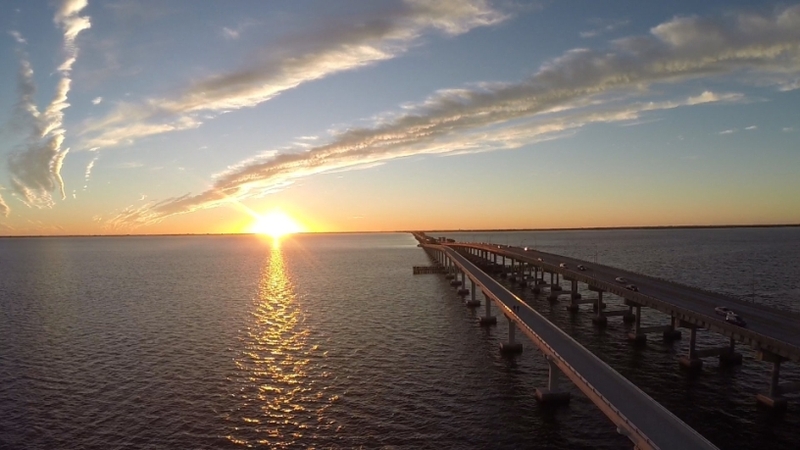 I recently discovered that jet skis, stand-up paddleboards (SUPs), sailboats, and kayaks are all available for rent from the Dunedin Causeway – the bridge that crosses the gulf coast intracoastal waterway to Honeymoon Island. If you’re feeling adventurous, a great way to get to Caladesi Island is to bypass the ferry and rent a kayak instead. 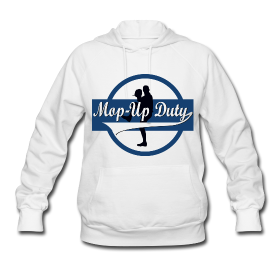 Vendors include Sail Honeymoon (part of the High & Dry Grill) and Romantic Honeymoon Island. Caladesi Island features a kayak trail through mangrove trees; the entrance to the trail is near the Caladesi marina. If you’re really adventurous, I highly recommend kayaking or renting a jet ski (you’re likely to have more success with jetski rentals in Clearwater Beach) to Three Rooker Bar. It’s a small, semicircular island that has emerged as a result of sand accumulation over the course of the last decade. As the island emerged, it quickly became vegetated, increasing its stability. On weekends it’s crowded with boats and revelers, but the water is Caribbean blue and the sand is sugary white and soft. The island is only accessible by private boat and has no facilities. On a kayak, it’s a long paddle but it’s worth it. Three Rooker has beautiful secluded beaches, and a Dunedin local told me “There’s a dolphin pod off Honeymoon Island and Three Rooker. Even the dolphin babies will play with you.” On my way there I ran into a loggerhead turtle and a few dolphins, but no babies. If I wasn’t so paranoid about getting my camera wet, I wouldn’t have missed the photo opportunity of a lifetime. Be mindful of the sun and wind. Bring sunscreen, and if you’re an inexperienced kayaker, it might be better to avoid the open water and unpredictable waves and stick to the calmer waters of the intracoastal waterway near Dunedin. You can explore a few of the sand keys between the Dunedin Causeway and Dunedin Marina. For more information on kayaking to Three Rooker Bar, click here. 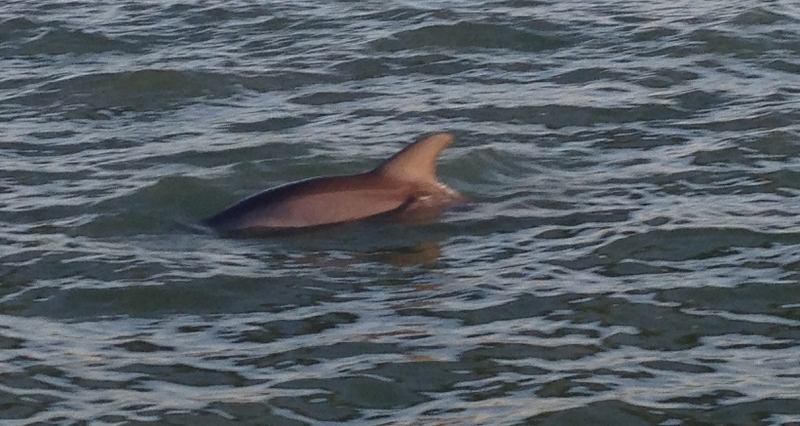 Another fun thing to do is go on a dolphin, sunset, or booze cruise; the varieties are almost endless. Last year I just walked around the Dunedin Marina and found a boat that was offering sunset dolphin tours. It was the ParrotDise Express, and it cost about $30. Ask for Captain Jeff. 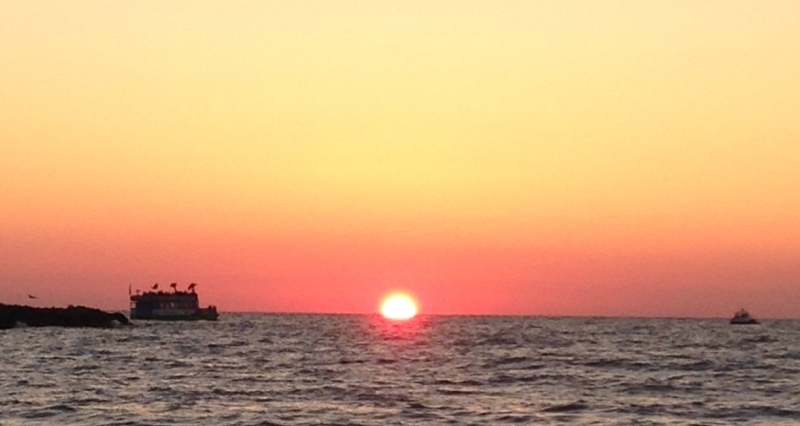 Dolphins were seen as well as the elusive green flash at sunset. Apart from the dolphin sightings, an unlimited amount of rum punch was available to all those on board. This made for a super fun time. If, however, dolphin/sunset/booze cruises aren’t your thing, you can always charter a fishing boat for half day or full day fishing trips. Captain Dan has the best reputation in Dunedin. He runs By Request Charters, and he’ll take you sport fishing, island hopping, shelling, snorkeling — he even does weddings and burials at sea. If you manage to catch “the big one,” many of the local restaurants will cook your catch for you, including the Frenchy restaurant chain. Another intriguing option is Daisy Mae Fishing Charters. The Daisy Mae Dunedin can fit six passengers comfortably, on a smaller boat with three (3!) 350hp outboard engines. 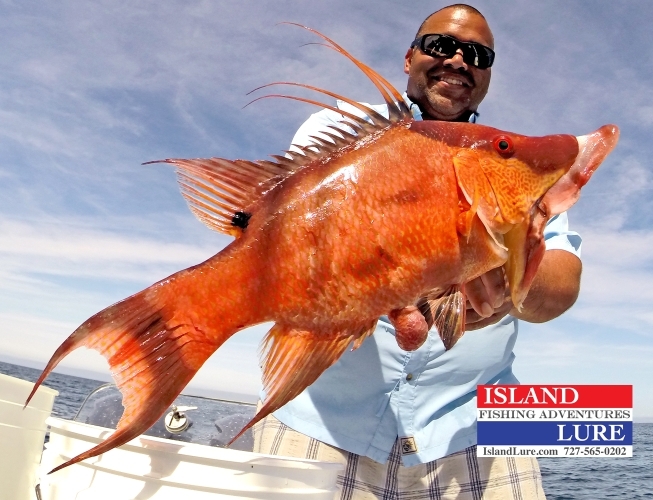 Monster Charters and Inshore Fishing Charters (in Clearwater) are other options. A great way to see Dunedin and the surrounding area is to rent a bicycle from Kafe Racer. Walk-ins are welcome, but bicycles are available only on a first-come, first-served basis. I recommend cycling the Pinellas Trail, an abandoned rail corridor that has been converted to a pedestrian & cycling trail. It stretches from Tarpon Springs in the north all the way to St. Petersburg in the south, a total distance of approximately 60km. It also cuts through the heart of Dunedin. If you’re not the active type, electrical bicycles are available for rent from Pedego Electric Bikes. A great way to get around the city is by renting a golf cart from Smart Cart in downtown Dunedin. You can rent a two-seater for four hours for $65 or $125 for 24 hours. Contact Smart Cart for more information. Also, if you’re in Dunedin over the holiday season in December, keep an eye out for Dunedin’s famous golf cart parade. Okay, so you weren’t able to stay in Dunedin and ended up in Clearwater. It’s not the end of the world. Located 20 minutes south-west of Dunedin, Clearwater is three times the size of Dunedin and home of the Philadelphia Phillies’ Spring Training camp at Spectrum Field. Since you’ll likely be driving to Dunedin, here’s a piece of advice: park downtown and walk the five minutes to the ballpark. Parking is free in downtown municipal lots. Along the streets that lead to the ballpark, home-owners and local businesses rent out their front lawns from anywhere between $5-$20 to unsuspecting tourists. Of all the parking hustlers, Bauser’s is your best bet, and as mentioned above, you get a free beer after the game. Recently, there have been improvements in Clearwater-to-Dunedin transportation. The Jolley Trolley will take you from Clearwater to Dunedin for $2.25 and runs every hour. A day pass is a cool $5.00. The Clearwater Ferry‘s Blue Line services Dunedin Fridays, Saturdays, and Sundays. It costs $8.00 each way and takes approximately 50 minutes from Clearwater Beach Marina to Dunedin Marina – with one stop in between. It runs every hour and 25 minutes. Anyway, back to Clearwater. 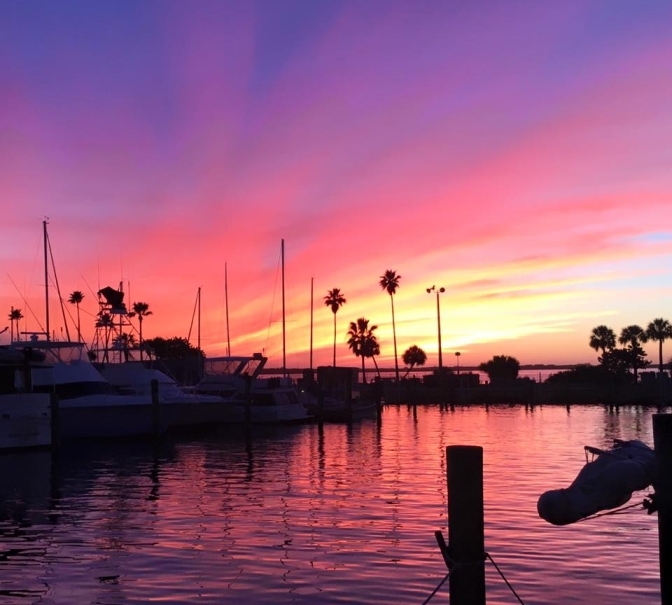 Clearwater itself is a refuge for well-to-do snowbirds, a tourist trap for those not yet of retirement age, and a weekend destination for Cletus the slack-jawed yokel and his family. As far as bars go, those from the Toronto area might notice similarities to Wasaga Beach. “The Strip” is lined with plenty of bars, but they’re all pretty much the same. If you want to get “Turnt Up” as the kids say these days, make sure to go to Shephard’s Backyard Tiki Bar. Early‘s favourite is Crabby’s Beachfront Bar & Grill. They serve 32oz. Jai Alais that taste bad and make your breath smell even worse. But they’re only $2.50! Watch out for Money Mark who brings his own cooler cup from home and asks the servers to fill it with vodka cranberry. Honourable mention goes to the Surfside Taphouse, where in a case of mistaken identity, Early thought the 70 year old bartender was Genie Bouchard working a side hustle. All of the credit goes to the eight 32oz Jai Alais Early had just consumed previously. If you’re getting an early start to spring training and you’re down near the end of February, you can find spring breakers at Jamminz Beach Bar. As far as restaurants on the strip go, the “Frenchy’s” chain is probably the most popular. Columbia restaurant is a solid Spanish tapas option just off the strip. The Hyatt Regency is a great option for whole grilled red snapper. Slightly off the beaten path is a Buck Martinez’s favourite restaurant, the Island Way Grill. When Jonathan Papelbon was a Phillie, he used to come here. One time at the Island Way, Buck Martinez ordered the last piece of hogfish. Papelbon arrived slightly later, and upon hearing the news that Buck Martinez snapped up the last piece hogfish, proceeded to throw a temper tantrum. If hogfish is on the menu at this restaurant (or at any other restaurant you go to), get it. The Island Way Grill is a pricier restaurant, but definitely worth it. Go on, treat yourself. You deserve it. If you’re having trouble finding hogfish, the most reliable restaurant is the Rumba Island Bar & Grill. While its quite a bit further inland from the beach than most places in Clearwater, it’s almost always on the menu. Like Dunedin, many fishing charters are available for hire and they are all conveniently located at 25 Causeway Blvd. And, like Dunedin, many of the restaurants in Clearwater will cook what you catch, most notably Cooters. Also in the vicinity of 25 Causeway Blvd, you will find Captain Memo’s Pirate Cruise. The late Captain Memo was a pirate and was the captain of a real pirate ship called “The Pirate’s Ransom.” To honour his legacy, his family and loyal pirate crew continue to provide pirate cruises from Clearwater Bay. There is a program for children that includes games and face painting, while on the adults-only section of the ship, the pirate crew keeps your goblet filled with grog: complimentary beer and wine is served on all cruises on the 3rd deck, with champagne complimentary on cruises after 4:00pm. Last but not least, I have to mention Lenny’s. What can be said about Lenny’s that hasn’t already been said before? Not much, so I’m not going to try to. Lenny’s is an iconic, family-owned diner located across from where the Phillies play. For my full Lenny’s review, click here. Spectrum Field – located in nearby Clearwater and home to the Philadelphia Phillies, this ballpark is gorgeous. It’s also the closest of all the spring training ballparks to Dunedin. How convenient! If you plan it right, you can go to a Jays game in Dunedin in the afternoon and follow it up with a Phillies game at night. McKechnie Field – home to the Pittsburgh Pirates, McKechnie Field is in Bradenton, Florida, about an hour drive south of Dunedin. I first visited last year and was quite impressed. As a bonus, the drive south is beautiful, especially over the Sunshine Skyway Bridge. Do try McKechnie Field’s Orange Swirl Ice Cream. You’ll be happy that you did. Joker Marchant Stadium – home to the Detroit Tigers. It’s about an hour and a half drive east to Lakeland, where the Tigers play. It’s a relatively new ballpark but the facility doesn’t really have much of a “spring training” atmosphere. It’s a little too commercial. When I stalked Noah Syndergaard, I did it at Joker Marchant Stadium. George M. Steinbrenner Field – home of the New York Yankees, of course. It’s a nice enough ballpark I guess, but it’s full of Yankee fans and looks a lot like a monument to the New York Yankees. So in reality, it’s actually quite terrible. Ed Smith Stadium – Located in Sarasota, about an hour and 20 minutes south of Dunedin, Ed Smith is the home of the Baltimore Orioles. I keep trying to check it out, but keep getting rained out. One day! The rest: The Rays’ Charlotte Sports Park in Port Charlotte, the Twins’ Bill Hammond Stadium in Fort Myers, the Red Sox JetBlue Park in Fort Myers (a replica of Boston’s Fenway Park), the Braves’ Champion Field in Orlando, and the Astros’ FITTEAM Ballpark in the Palm Beaches are probably too far and not worth it if you’re crunched for time. St. Petersburg, a 45 minute drive south-east of Dunedin, has a few things worth checking out. An impressive museum dedicated to surrealist artist Salvador Dali can be found at the waterfront. The best flan in Florida (apparently) is at Ceviche in the Ponce de Leon hotel. Not only that, but they have Flamenco dancing. The Canopy Rooftop Lounge is a Miami-style bar that is great for cocktails. The best Key Lime Pie in the area can be found at Rusty Bellies in Tarpon Springs, about 20km north of Dunedin. Tarpon Springs is a weird place. It used to be a fishing village populated by Greek immigrants who fished for sponges. Today, there are a bunch of mediocre Greek restaurants and plenty of kitschy beach garbage for sale. It doesn’t look like much sponge scavenging is happening any more, but the stores are still full of it. If you’re not willing to make the trip, hit up your local Publix grocery store – this grocery store chain’s dessert is the favourite of most Floridians and is even rated #1 by Coastal Living Magazine. If you’re like me and love animals, it’s hard not to have a particular affinity toward Florida’s gentle giant — the Manatee. You can swim with and passively observe them at River Ventures in Crystal River. Another option is Plantation on Crystal River, a hotel that offers Manatee tours. They also have a stellar Instagram feed. It’s an hour and 45 minutes north of Dunedin and will take up most of your day. Ybor City is a neighbourhood in Tampa that has been designated as a National Historic Landmark District. It’s a multi-ethnic community that was originally founded by cigar manufacturers in the late 1800s. Watch for the wild chickens who roam the streets freely. The Cuban influence is strong here. In fact, Jose Marti park – located at the west end of Ybor in the Marti district – is actually considered to be Cuban soil. There’s a Columbia restaurant here with delicious, authentic Cuban food. If it’s live music you’re after, you came to the right place. Check out The Attic, Crowbar, Gaspar’s Grotto Pirate Bar, The Bad Monkey, Coyote Ugly, and, of course, The Dirty Shame. I said it before but it bears repeating: get the hogfish. It is tasty. While hogfish is undoubtedly the #1 tastiest fish in Florida, there are plenty of other great ones to try. My favourites include red snapper (of course), sheepshead, cobia, snook, and barracuda. You’re going to see grouper everywhere, as well as “grouper cheeks.” Mahi mahi is also everywhere, but tends to be dry and not so great. People are going to tell you to go to the original Hooters restaurant. Don’t. It’s terrible and a waste of time. Some of you are known autograph hounds. At the Bobby Mattick Complex, autographs are easy to come by. At Dunedin Stadium, you’ll want to hang around the right field corner like a creeper after batting practice has finished – around 11:00am. Perhaps this guide isn’t as comprehensive as I think it is. What did I miss? Do you have any questions? Comments? Feel free to ask away in the comments section below or hit me up on Twitter at @callumhughson. Great to see a post, I miss your guys’ stuff. Hope you have a great trip. It is something that is on the to do list to be sure. Loved reading your article but sad to say parking isnt free in downtown Dunedin anymore. Some lots have different times of no cost parking but meters are everywhere. Thanks for letting me know, Bunny! I’ve updated the article to reflect the change. Fun article. Good news. Downtown Dunedin Parking is now free again in 2018. Paid parking was a failed experiment! Great news! Glad to hear it! I’ll update the post to reflect this new development… thanks Mary!